Field Post Office No. 61 with the Indian Expeditionary Force. At the time the IEF Force D was deployed to Mesopotamia during World War I. There are three FPO CDS. Its arrival there was noted by a BOMBAY-G.P.O. DELY CDS on October 31. 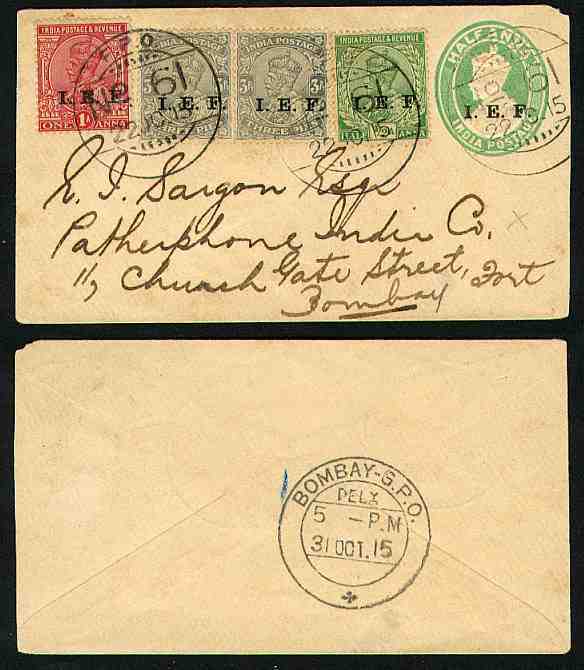 King George V issue (SG E1, E2, and E4 respectively). All in all, this is a neat usage.